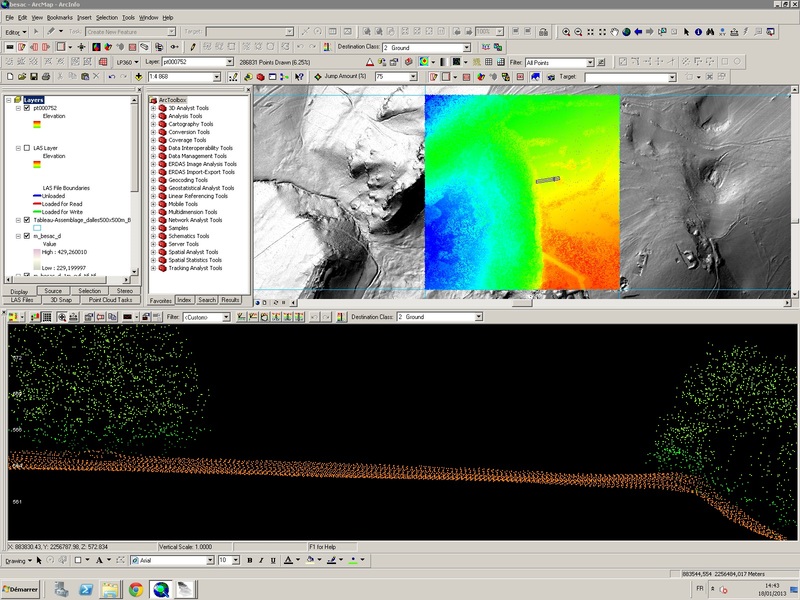 LP360 is a software program designed for the management and post-processing of lidar data. LP360 can be used as a standalone program or as an ArcGIS extension, providing tight integration with GIS data. Typically lidar data processed using LP360 has already undergone basic treatment, possibly including classification, in other software such as Terrascan. LP360 supports the visualization of point clouds and profiles in linked viewers, the tiling and gridding of LAS data, manual reclassification of the point cloud, and the digitizing of breaklines. More information about LP360 is available from their website.